MOORESVILLE, N.C., Jan. 23, 2017 /PRNewswire/ — Lowe’s Companies, Inc. (NYSE: LOW) today announced that Jocelyn Wong has been appointed to the position of chief marketing officer, effective immediately. 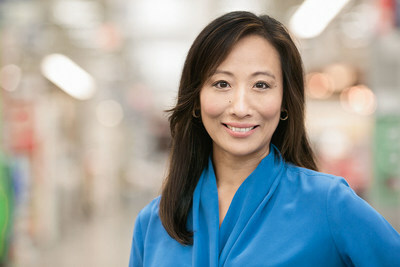 Wong most recently served as senior vice president and general merchandising manager for the seasonal business. She will report to Michael P. McDermott, chief customer officer, and succeeds Marci P. Grebstein who has left the company. Wong will oversee the integrated marketing and communications strategy to customers, including orchestrating a seamless customer experience across channels to build affinity for the Lowe’s brand. She will lead customer experience design, content strategy and development, customer relationship management, advertising and media for the U.S. home improvement business. Wong joined Lowe’s in September 2015 and has more than 20 years of experience in marketing, merchandising, brand management and product innovation with well-known brands such as Family Dollar, Safeway and Procter & Gamble. Prior to joining Lowe’s, she served as senior vice president and chief marketing officer at Family Dollar. Wong earned a bachelor’s degree in chemical engineering from Purdue University.